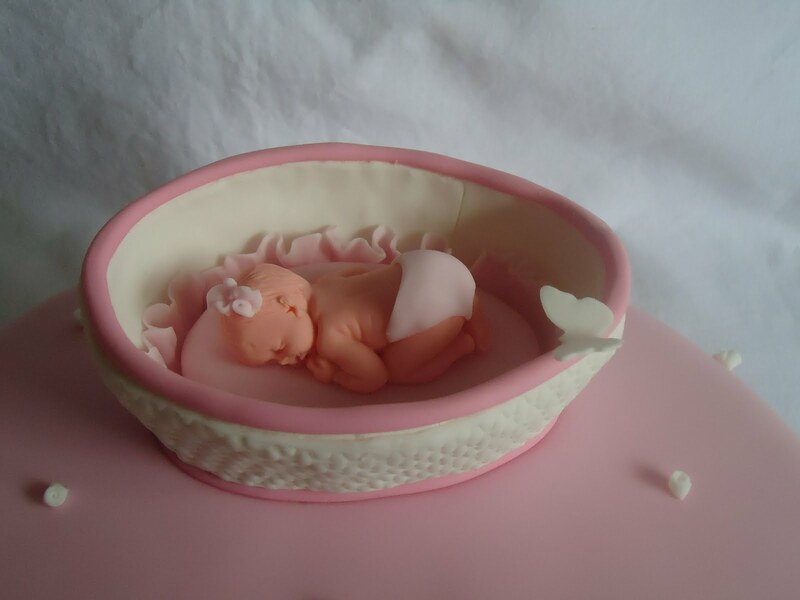 The Lavender Cakes: Baby in the basket cake..
Baby in the basket cake.. 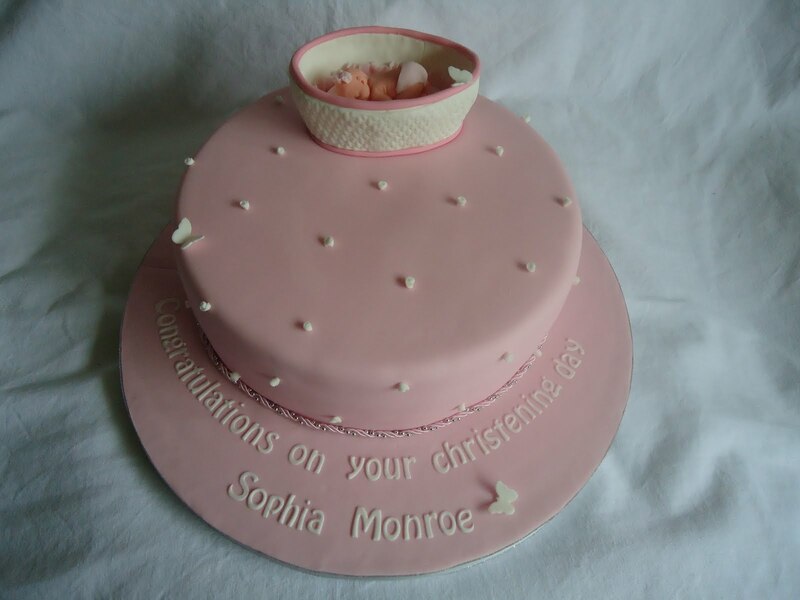 I had an order for the same baby in the basket cake which I did for my daughter's christening. I loved doing that and this time I added few butterflies too. Close up of the basket. Here is how I made the basket. 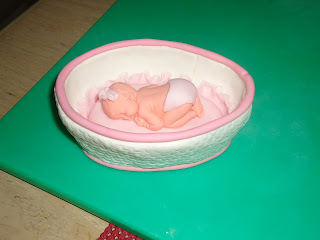 When I made the basket for my daughter's chrsitening cake, I used sugarpaste/fondant. 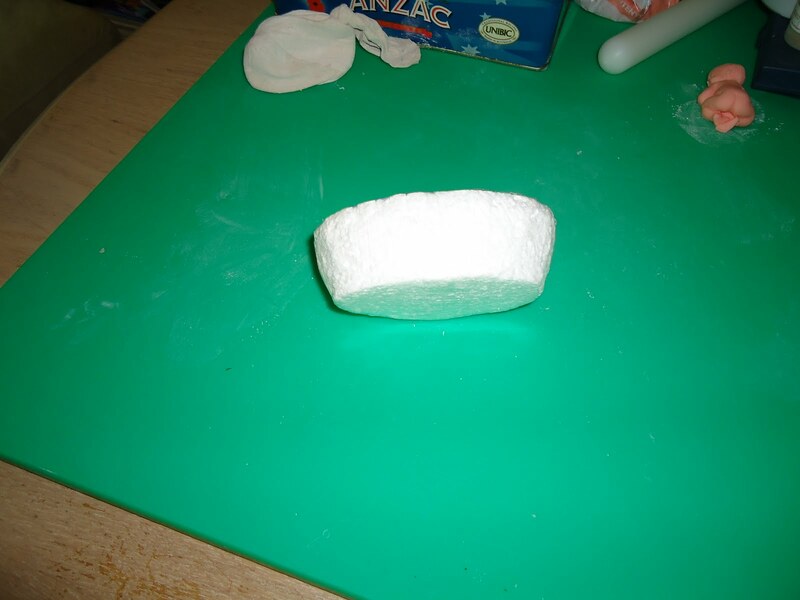 But this time I thought I would make a mould from styrofoam. So I contacted few places who specializes making styrofoam dummies for cakes, but no one couldn't do it for me. I then used a 6" round dummy cake that I had, to cut the basket shape out of it. 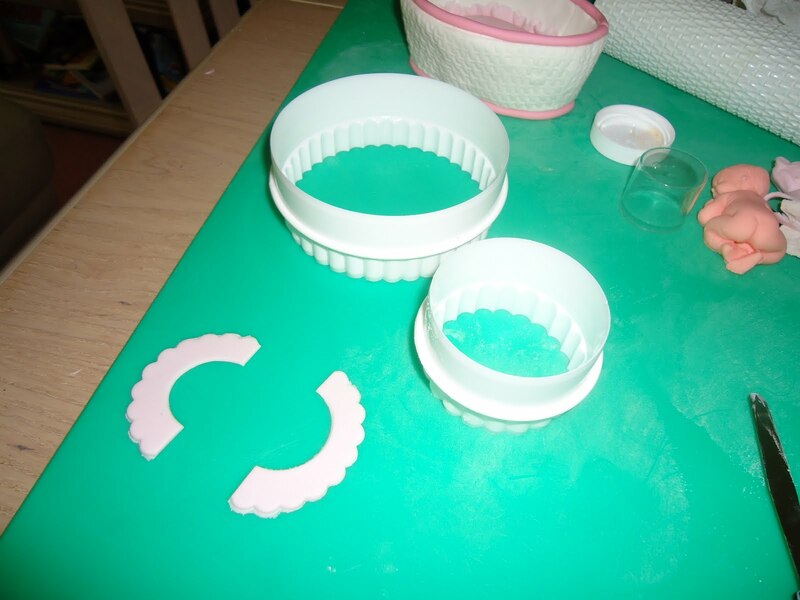 If you can't do it, then make the basket out of sugarpaste. 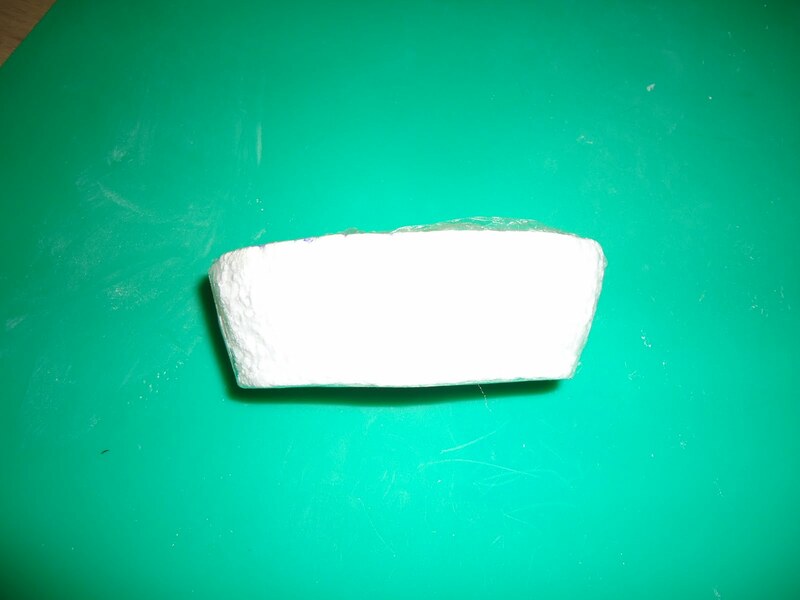 Here is the photo of the styrofoam basket. Then I wrapped it in clingfilm and dusted it with some cornflour. 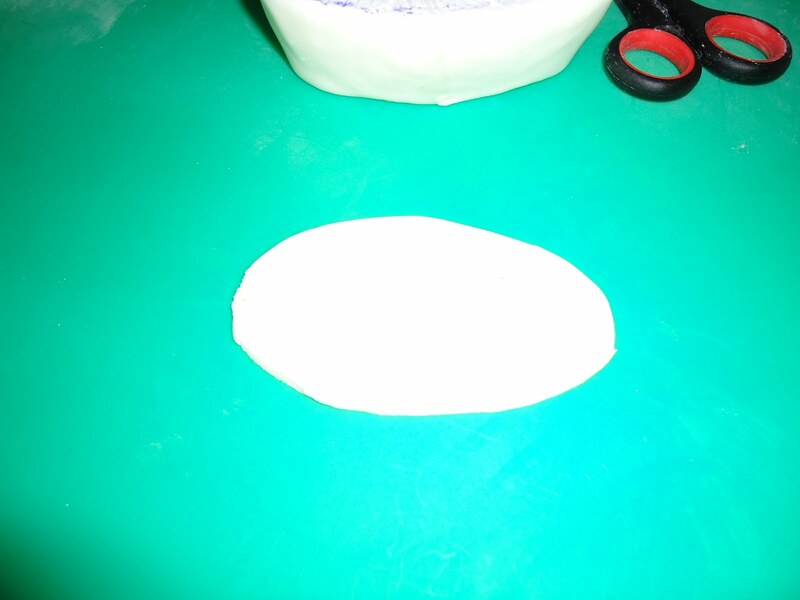 Then turn it upside down and stick it to the work surface with some bluetack/sticky tape, so it stops moving when you start to cover it. 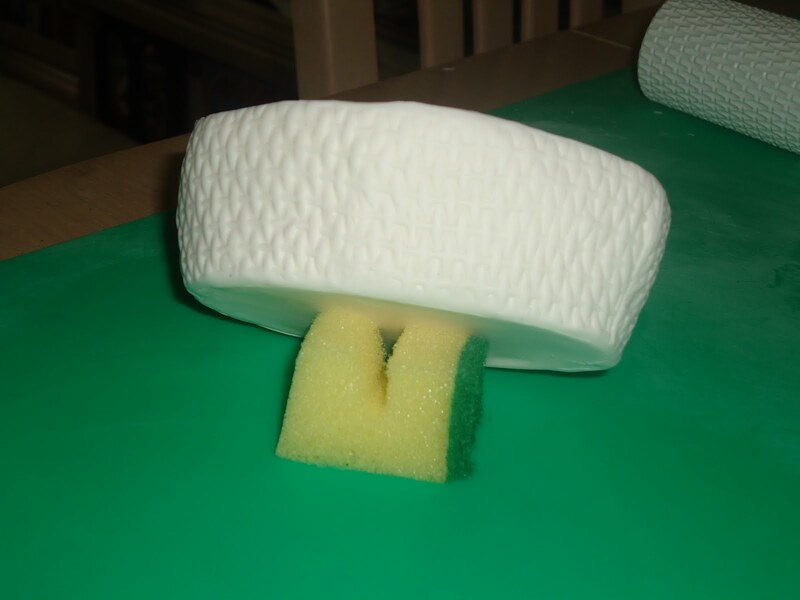 Then roll out some pastillage and cut a strip to the height if the basket. Then wrap it around the basket and glue the seems together with sugar glue. 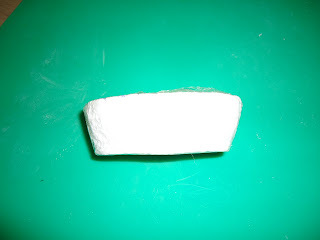 Close up of the wrapped pastillage strip. Then cut an oval shape from pastillage to go under the basket. Once its all glued, put it in the airing cupboard to dry. Then unmould the basket. 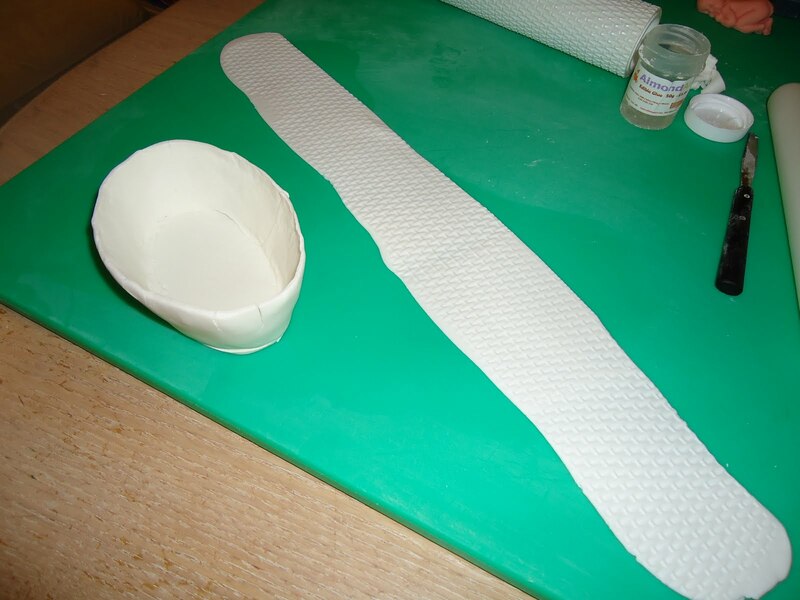 Roll out another strip from sugarpaste using the basket weave rolling pin. 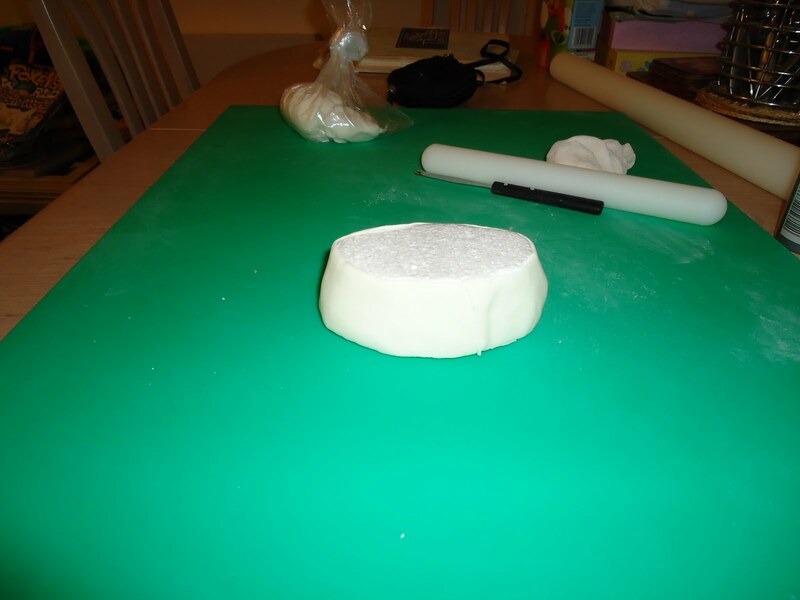 Here is the close up of the wrapped sugarpaste. Then I took another strip of sugarpaste and covered the inside of the basket. 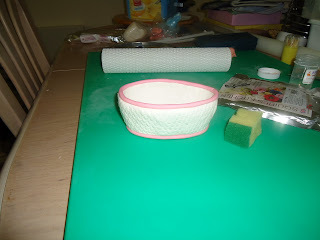 I then used some rolled out pink flowerpaste and glued it to the edge of the basket on the top and on the bottom. Here is another close up photo. 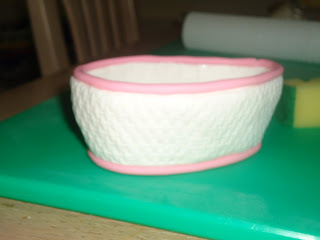 As the basket was a bit deep I hand modeled a small oval shaped cusion and glued it inside the basket. 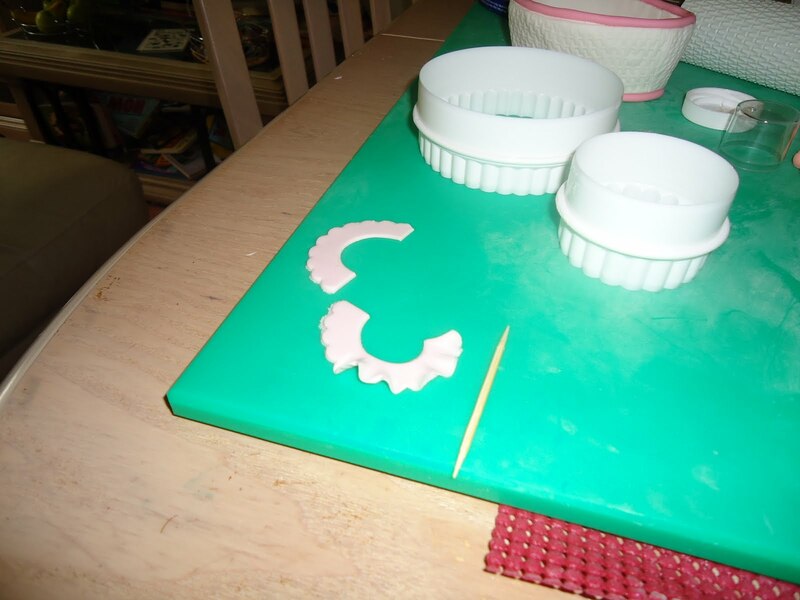 I made some frills by using two sizes of pastry cutters, cut them in half and frilled them with a toothpick. 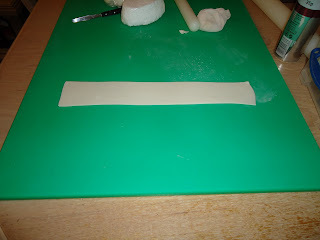 Then glued that around the cusion. Close up of the inside of the basket. I made the baby one day ahead so it can dry properly. 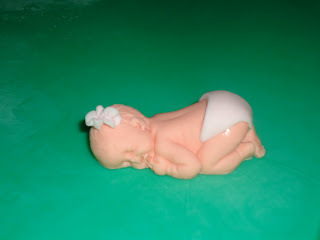 I used the First Impression baby mould to make the baby. 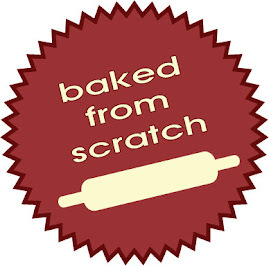 Here is where I bought it from. 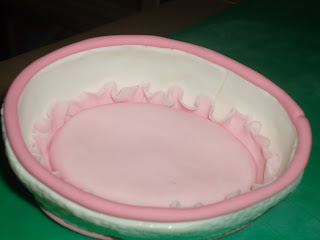 I put a nappy by cutting a triangle shape out of pink flowerpaste and made two tiny ribbon roses to go on the head. Here is the baby in the basket. More Cakes from last few weeks.